Edward Slater navigates the competitive Dallas marketplace like a championship athlete with one goal in mind - to win. As a multi-million dollar producer and dedicated client advocate, his collaborative approach to real estate delivers exceptional results in record time while raising the bar in client service, market knowledge and local expertise. Edward understands the importance of tailored communication and makes it his priority to keep clients informed every step of the way. His meticulous attention to contractual detail and savvy negotiating skills help his clients make the best financial decisions for their family. A Dallas native with family roots dating back to the early 1800s, Edward is well versed in the makeup of each neighborhood, its boundaries, highways and specific personality, allowing him to expertly match clients with homes that suit both their needs and lifestyle. Edward attended Highland Park High School and Woodberry Forest Prep School in Virginia where he earned numerous athletic awards in football, basketball and lacrosse. 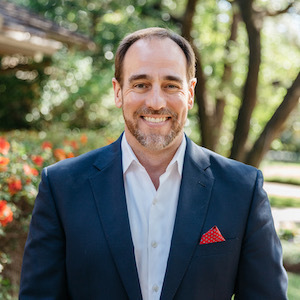 After returning to Dallas and graduating from Southern Methodist University, he worked his way up through his family owned business, Fishburn’s Cleaning & Laundry, and ran the company until it sold in 1997. Edward lives in Lake Highlands with his beautiful wife and three daughters, and is on the board of directors of Carry the Load - a non-profit organization that honors veterans and active duty service members, law enforcement officers, firefighters and their families. He also supports the Juvenile Diabetes Research Foundation and his children’s’ schools. If you’re looking for a local expert that will stop at nothing to achieve your real estate goals and dreams, give Edward a call.